The earning power of affiliate niche blogs has been well proven. It is a popular marketing strategy, when done right. Successful marketers who go on to other business ventures will often continue to promote products owned by someone else. Why? Because affiliate niche marketing is a reliable way to drive targeted traffic to specific niche audiences thereby boosting their revenue streams. People who want to know more about these topics will search for answers to their questions. If you do things right, they will discover your website. The narrower the focus, the more targeted are the people who will be interested in your website content. For example, ‘Health’ is a broad niche. ‘Diabetes’ is narrower. ‘Diabetes in children’ is more specific. Identifying a sub-niche, is an effective way to attract the target audience that best matches your offer. Here is a recent example from my own experience. I’ve been looking to buy a new yoga mat. I found a website that reviews several types of yoga mats, which led me to find the exact mat I was looking for. When I’m ready to make the purchase, I will return and the owner of that website will earn a commission. You might want to view this video over at Wealthy Affiliate about the process for choosing a niche. Click the little “x” if you get a pop up to close it and you will be able to watch the entire video. In the previous section I used the example of buying a yoga mat because I wanted to convey the importance of narrowing down the niche and focusing on providing value to people who are looking for specific information. Your website will be more readily found by people if you provide information of value that people want to know about. The search engines love blogs because they get a constant update of content and many people visit them. These days blogs are more popular than static websites. 1. Choose a niche topic that interests you.2. Create a niche blogging website around that topic. A recommended platform on which to build your website is WordPress. In addition, you will need hosting space and a domain name. 3. Spruce up the content by using effective keywords that people would use in search engines when doing research. When checking out different yoga mats, I searched for “top rated non-slip yoga mats 2017” and ended up on blog that had several reviews of various brands of yoga mats and yoga-related accessories. 4. Continue to write and publish several pages and posts on your website to start making an impact in the search engines. One of the members in our WA community (Eddy) posted about how he earned $740 thinking outside the box. Eddy gives us a tip on how to maximize the power of any affiliate niche site. His tip can help affiliates to make more money in any niche. I hope Eddy’s article will deepen your understanding and inspire you to start thinking outside the box too when marketing your niche. Click on the blue tab below to read the article. Note: A few seconds in a pop-up will appear. Don’t worry, click the little “x” in the top right corner to close it and you will be able to continue reading. It’s the only way I can bring non-members to this ‘insider’ content. There isn’t only one way to make money with blogging. 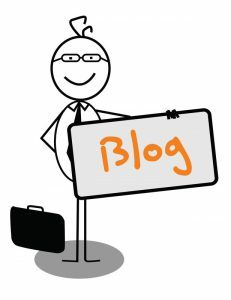 Once you have started a blog of your own, it is an ongoing experience to learn how to monetize it effectively. When the money begins to flow in, you will be motivated to continue delivering valuable content that people want. 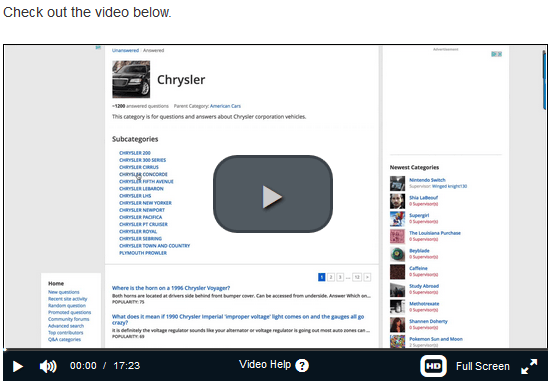 get into the information publishing business – eBooks, newsletters, videos, etc. 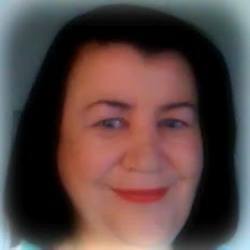 sell your own services (writing, proofreading, editing, graphic or website design). 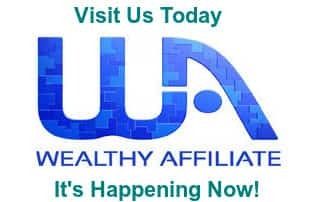 It is possible to offer your own products and services combined with affiliate offers. It does not have to be one or the other. The internet enables reaching out to a global audience of people from all over the world who are searching for information and solutions. If you fulfill what those people need or want, you have a chance of converting them into potential buyers. Want to have your own affiliate marketing income stream? Click the banner and join thousands of like-minded others who are already on the way to making it happen. It’s never too late to get started. Not ready yet, or need more information? I understand. Visit my full WA Review. Or fill out the form below and I’ll send you more details. Affiliate niche blogs seem very profitable although it is really difficult to find a profitable niche, how to you find a niche that is going to make you money. As a beginner, it is difficult for me to find a niche and write about it, how you go about creating content for your niche site, it is all a bit tricky for a beginner, do help. I suggest making a list of 5 or 10 topics that interest you. Pick the one that you enjoying having conversations about the most. Profitability comes later after you have built up some content and visitor traffic. For some bloggers the process in the beginning is not about you finding a niche but more about letting the niche find you. This can only happen if you start writing about what interests you that can also help others in some way. It’s okay to go a bit broad or general at first with your content. Later, it will become important to narrow the niche focus to a specific target audience, but it’s fine to let it happen progressively. These 2 YouTube videos about choosing a niche might help. Thank you so much for the great tips you suggested. Your page flows well and I love the encouragement you give to us new bloggers. It is good to know that with patience and hard work we may find success. I loved the link you added to share Eddy’s story. It isn’t easy trying to build a site that calls attention to people. I thought t might be and I was totally wrong. It really does take careful thought and time. I look forward to learning from you. I’m glad you enjoyed my tips. “Patience and hard work” – spot on! As with anything new, it’s not easy in the beginning, but when one looks back later, one realizes that what used to be difficult before is much easier now. But there are always new challenges, which is a good thing. It is a continuous learning processes, for sure. I’m glad you enjoyed the link to Eddy’s post. I think the insight he extends is brilliant. I am looking forward to implementing his suggestion on my site. Great article on Affiliate Marketing. I have also enjoyed making niche websites to promote a specific product. The world of affiliate marketing is fantastic and I wouldn’t trade it in for anything else. I enjoy what I am doing and you’re doing a great job as well. Keep up the good work and I will be a returning reader! I feel the same way as you do about affiliate marketing and the opportunity to promote products that fulfill the needs of others. I feel blessed that I found this method for creating income via the internet. Of all the online marketing methods that I’ve tried, IM is my favorite business model. I enjoyed your post it was great. I read Eddy’s article and found it helpful, I will implement his idea. I think your Website also offers lots of interesting information. In particular, I read a post about Herbalife. I am a Plexus ambassador, so I was really curious to see what you had to say. I certainly agree that the focus of any legitimate company should be the product, not money making schemes. Glad you enjoyed the post and that you had a chance to read Eddy’s article. I too will be implementing his suggestion – it’s a gem! I can see that as a Plexus ambassador you would be interested in my Herbalife post. I decided to write about it because it is an example of what to look out for when considering any MLM opportunity. You’ve hit the nail on the head that when promoting such offers, the focus should be on the value of the product not on the money making scheme. If Herbalife had trained their distributors to focus their promotions on the value and benefits of the products, they might have prevented incurring a $200 million fine for misleading advertising. This was a very insightful and easy-to-follow explanation of affiliate marketing. I liked how you used the Warren Buffet quote. In fact, I had originally made plans to roll out my own online product. But the cost of producing and setting up the business model was prohibitive. That was my 7-foot wall. Then I discovered the wonderful world of affiliate marketing and I realized that I could scale my business and still achieve my long-term goals. So like you, affiliate marketing was my 1-foot wall. I too started down the road of creating my own product. At the time I was in multi-level marketing and the product catered for that audience. There are far too many sharks and scams in that arena; in the end that was my 7 foot wall. Warren Buffet’s quote resonated with me. I thought, why try to push an elephant up hill? LOL. You could indeed leverage your traffic and affiliate success to scale your business by adding your own products as you move forward. Thank you for visiting and your valuable input. Much appreciated.